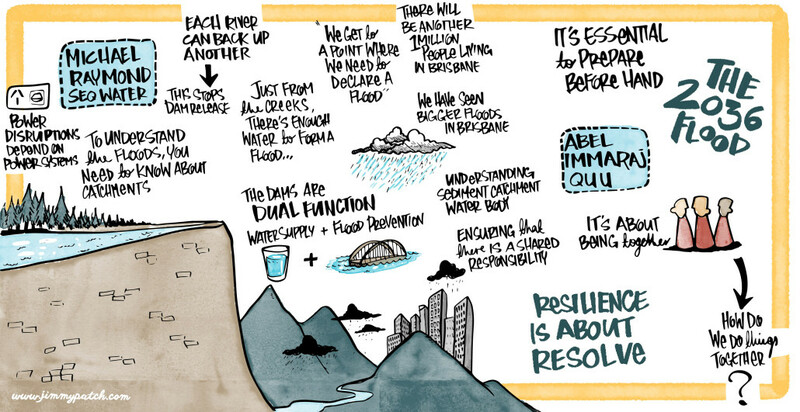 Looking back from after the Brisbane River 2036 flood, what did we do over the last 20 years to minimise the flood impacts and build community, environmental and economic resilience??? 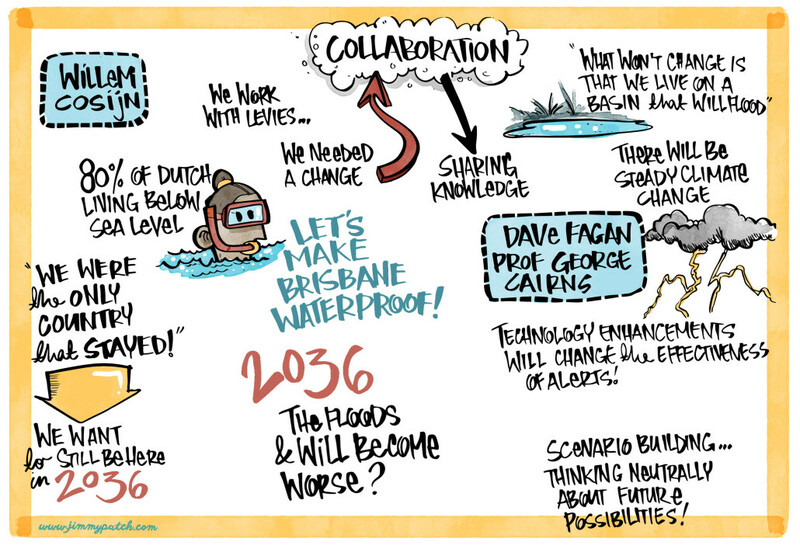 There is wide agreement that a scenario of a major Brisbane River flood will occur sometime in the future. So what can be shared, learnt and foreshadowed in advance of such an event? 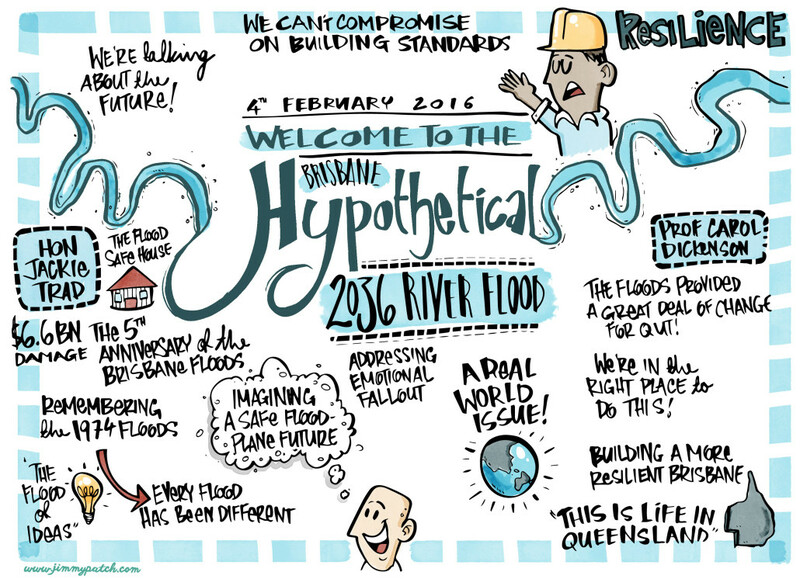 This Hypothetical was designed to bring together leading practitioners and academics to stimulate and engage discussion and deeper thinking with professionals associated with the diverse set of responsibilities associated with flood risk and emergency management. 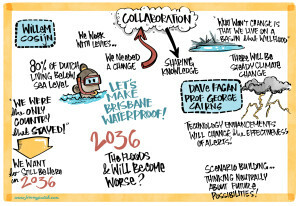 On the day 200 professionals from south-east Queensland, interstate and the Netherlands came together at the QUT Garden’s Point campus to participate in this facilitated Hypothetical. 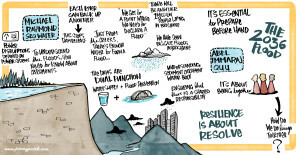 The efforts of all the presenters are shared here in a combined video and slide presentation along with a summary highlight prepared by a graphic facilitator. The event was sponsored by support from Queensland Urban Utilities, Water Technology and the QUT Business School. 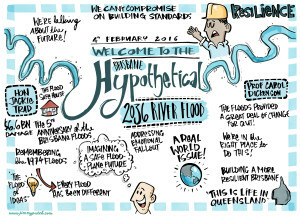 The participation and interest from members of the Flood Community of Practice and the QUT Centre for Emergency and Disaster Management network was significant and ensured the day had a diversity of experiences and viewpoints. Download agenda and presenter bios.